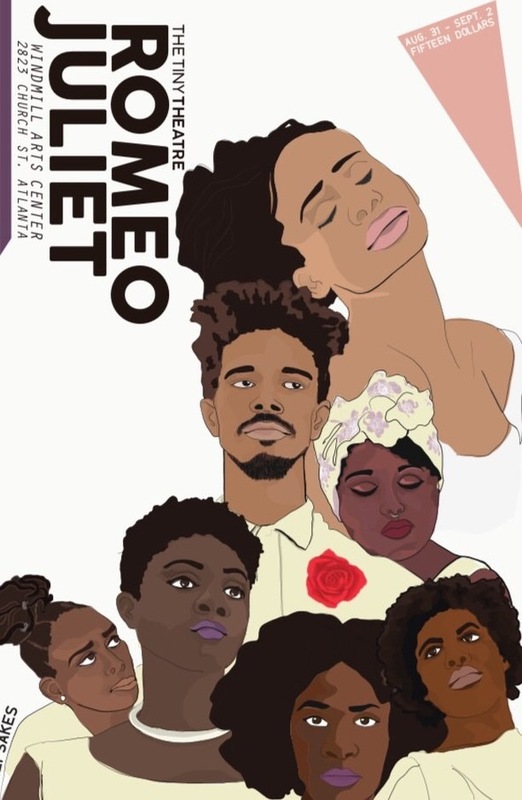 Hamlet: TheTINYTheater Company will be producing Cyd Prather's original one act adaptation of Hamlet. In this adaptation, we follow 3 best friends, Hamlet, Horatio, and Marcellus as they try to find out about Hamlets fathers death. However when one of them is killed by Claudius, rage and pain propels Hamlet to break. Cyd wants to pay homage to 1990’s hip-hop Atlanta with style, language, and music.The use of hip-hop and rap will creatively communicate classical text that is often misunderstood. While her adaptation of Romeo & Juliet was very successful, she operated on a significantly small budget. For Hamlet, her goal is to produce a more expansive production that has the ability to impact a larger audience. She will include elements of film and projection design. Light design and anon traditional set design. Her purpose for this production is to increase The TINY Theater Company’s level of influence in the community and include more Black audiences in the arts and theater.